Blayne has 20 years of experience as a patent attorney and lawyer specialising in electronics and communications patents. He has a strong track record drafting and litigating patents in this area, in New Zealand, Australia, Singapore and around the world. 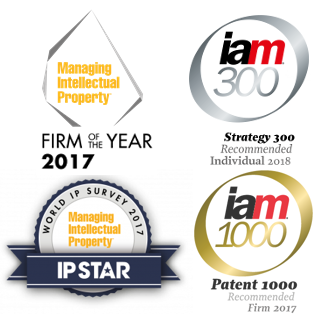 He has been internationally recognised as a leading practitioner by ManagingIP, IAM magazines and Asia IP in 2013-2018 in patent prosecution, copyright law and IP litigation. The quotes from clients and competitors include that Blayne is “enthusiastically endorsed for his electronics know-how”, is a “tremendous practitioner of patent law” and an “Asia IP Expert”. Blayne has an electrical and electronic engineering degree from the University of Canterbury and a law degree from the University of Auckland. He practised in Auckland for 7 years (as an associate with AJ Park), before practising in Singapore for 10 years (lately as a partner with Marks&Clerk). Blayne is also a senior member of the IEEE, a fellow of the NZ Institute of Patent Attorneys and a member of the NZ and Auckland Law societies. “Asian Govenments encouraging IP financing”, Lexology, December 2013 www.lexology.com. “Asia’s subjective problem”, Managing Intellectual Property, February 2011 www.managingip.com. “Avoid the misrepresentation trap”, Managing Intellectual Property, May 2007 www.managingip.com. “Anti-competitive provisions in the Patents Act”, Managing Intellectual Property, April 2006 www.managingip.com. “Search and Examination deadlines clarified”, Managing Intellectual Property, December 2005 www.managingip.com. “Singapore consolidates drug laws”, Managing Intellectual Property, October 2005 www.managingip.com.